When I started teaching MYP Performing Arts (Drama), I had very little to work with. The school had no drama curriculum in place, as it was never previously taught. The library was very under-resourced. The staff only thought of drama as a big school production, not as a subject with specific skills that can be taught, practiced and assessed. Performing Arts is only timetabled as one double-period per class per week (compared to six periods for English, for instance). Since a term is about ten weeks, I end up seeing each class an average of seven to eight times a term, when you factor in the lessons cancelled due to excursions, incursions, school-events, sports-events etc… I teach each class for a semester (two terms), and I have two units of work (one unit of work per term). Performing Arts is timetabled as a compulsory subject for years 6, 7 and 8. This means that I will get a lot of students who don’t want to be there, either because they’re shy/self-conscious or they don’t care much for the arts, or both. Most students come from families that also do not appreciate the arts due to cultural or religious reasons. For this reason, many students show indifference towards the marks they earn in the subject, and those that excel are not often recognized for it by their parents. This assessment framework is a product of many trails and errors, and there is always room for improvement and feedback. This criterion was often hard for me to assess because I did not want to allocate too many double-periods for theoretical work. I tried worksheets with comprehension questions to accompany a PowerPoint presentation, but that was very disengaging for the students (not to mention very boring for me as a teacher). Additionally, I came to realize that it’s not a very reliable way of assessing understanding, because it just encouraged copying the answers directly from the PowerPoint. 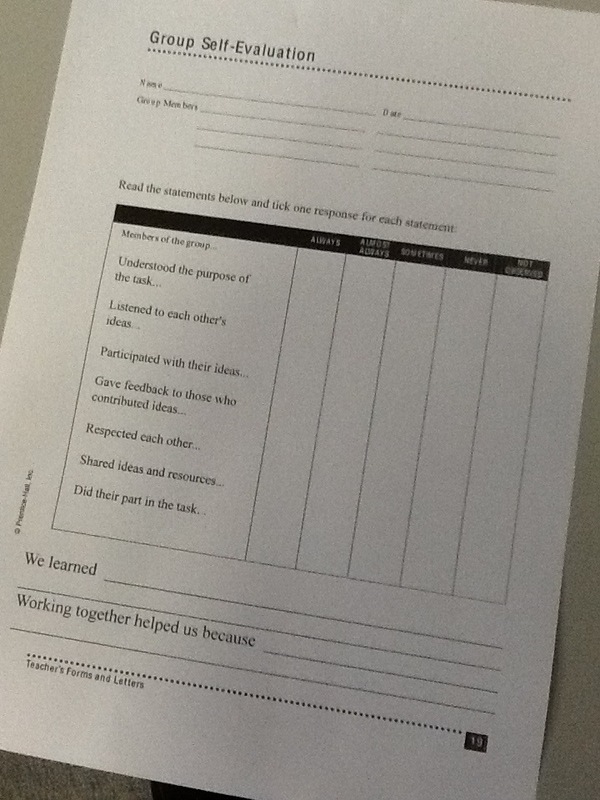 Then, a very helpful friend of mine suggested that I should get the students to talk about what they learned, as that is a more reliable measure. So, I decided to photocopy some handouts from books, and design an oral presentation task where the students read the information, summarize it (guided by questions), supplement it with additional research, and then teach it to the rest of the class through an oral presentation. This task is more practical to administer as it does not involve collecting worksheets and marking them, which is time-consuming, and also because it allows the students to talk about what they learned which is a more reliable measure of their understanding. I also give the students some basic information to help them answer the questions, while allowing the ones who want to excel the opportunity to research for additional information. Each student is also assessed individually as they are presenting. This whole assessment process can be started and finished in the same double-period, or over two double-periods if students want more time to research. Criterion A sample task #1 and sample task #2 used to assess first two strands. Below is a screen-cast describing one task and how it is administered. 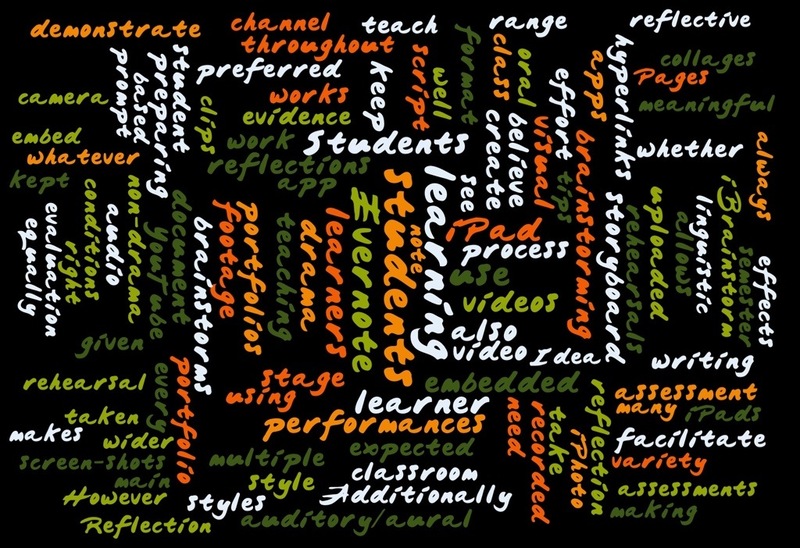 The buzzwords I use with my students to explain this criterion are: ideas, skills, techniques, and processes. Therefore, the tasks I create to assess this criterion have to flesh out these four elements. Additionally, I often assess this criterion summatively, at the end of a unit of work, while I use the other criteria for my formative assessment. This is because it allows the students a whole term to demonstrate knowledge and understanding of the art form; practice the skills, techniques and processes involved in the unit of work; and reflect on and evaluate their work before I finally assess their application of those skills, techniques and processes. 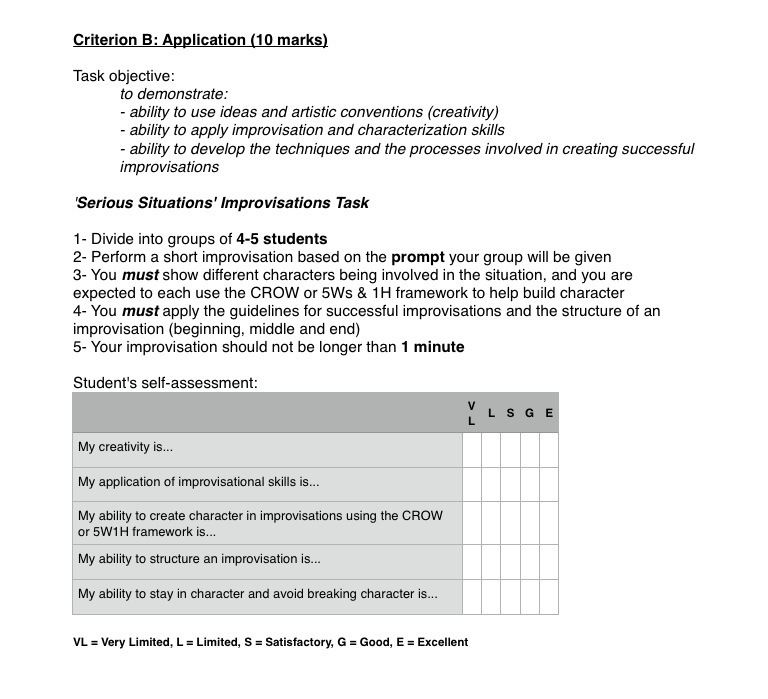 Below is a sample task I use to assess Criterion B (Application) in a unit of work on Improvisational Theatre. 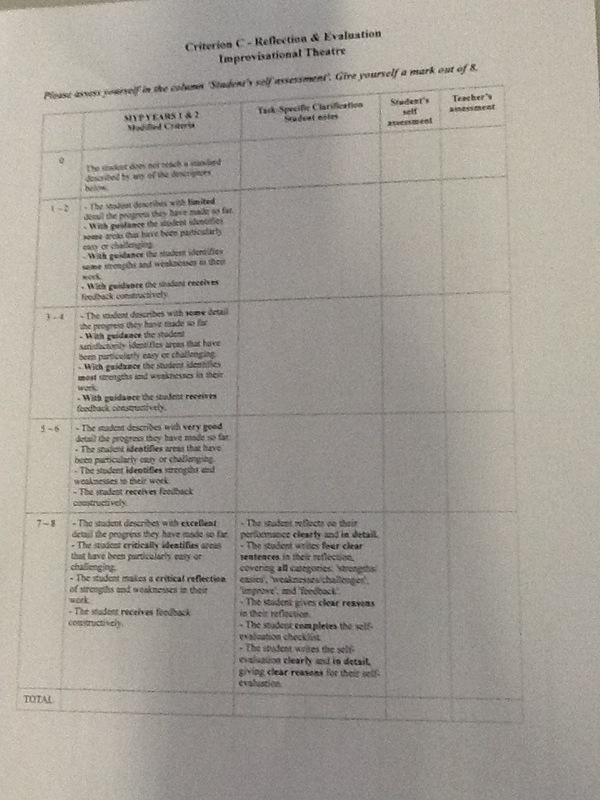 The students are given the task sheet, told that they will be organized into groups and given a prompt. A visual timer is then used to give the students a minute to quickly discuss/prepare their performance based on the prompt (as they are aware that an improvisation is unscripted and unrehearsed). 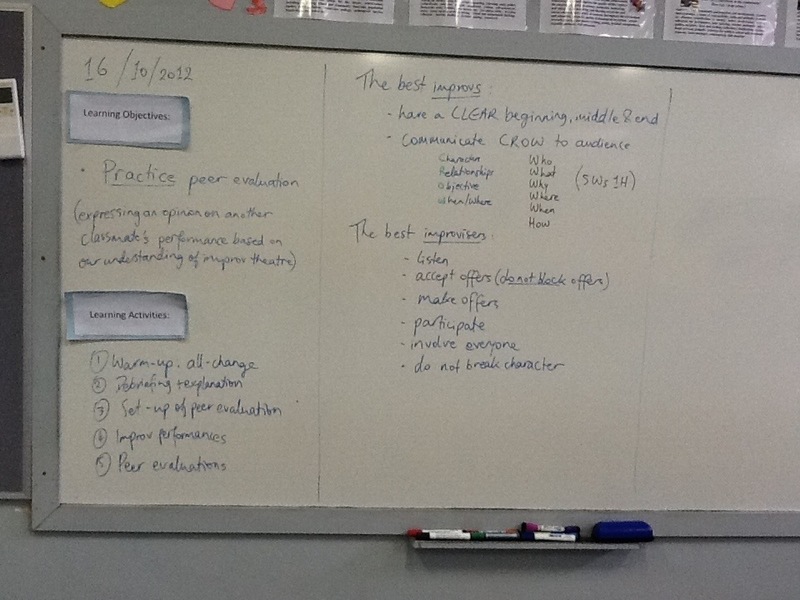 During this preparation phase, I will jot down some notes to see if they’re applying the correct processes and techniques involved (such as using the CROW [Characters, Relationships, Objective and When/Where] framework to prepare their performance). The students then perform their improvisation, and video footage is taken of their performance to help them in the self-assessment/self-evaluation that follows. After their performance, the audience members are asked to ‘play director’ by giving positive comments or useful suggestions for future performances, and the performers are given a chance to respond to the feedback received. After all groups have performed their improvisation, the performances are projected on the screen to allow the students the chance to self-assess their artwork. Lastly, the students are called up to the teacher one-by-one to conference with the teacher, discuss their self-assessment and their goals for improvement and to receive the teacher’s assessment on their rubric based on their application of the skills, techniques, and processes taught in the unit of work. 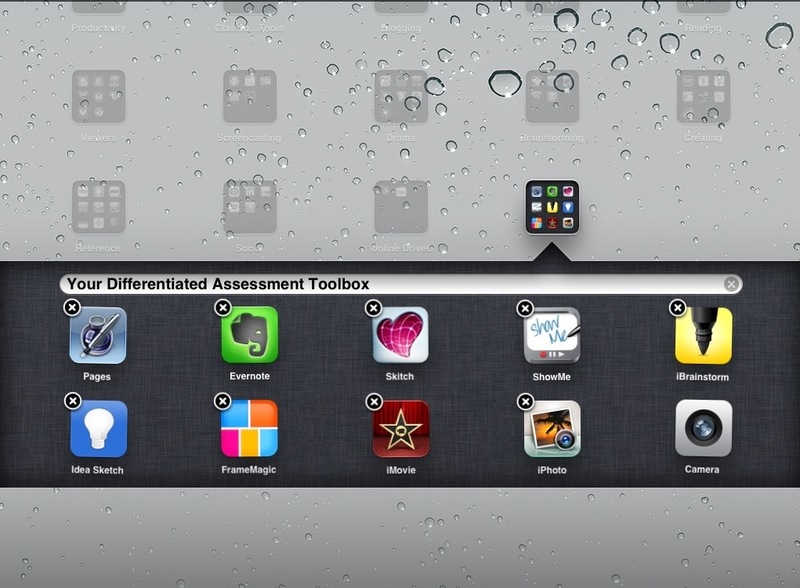 This whole assessment process can be started and finished in the same double-period. Criterion B sample task. 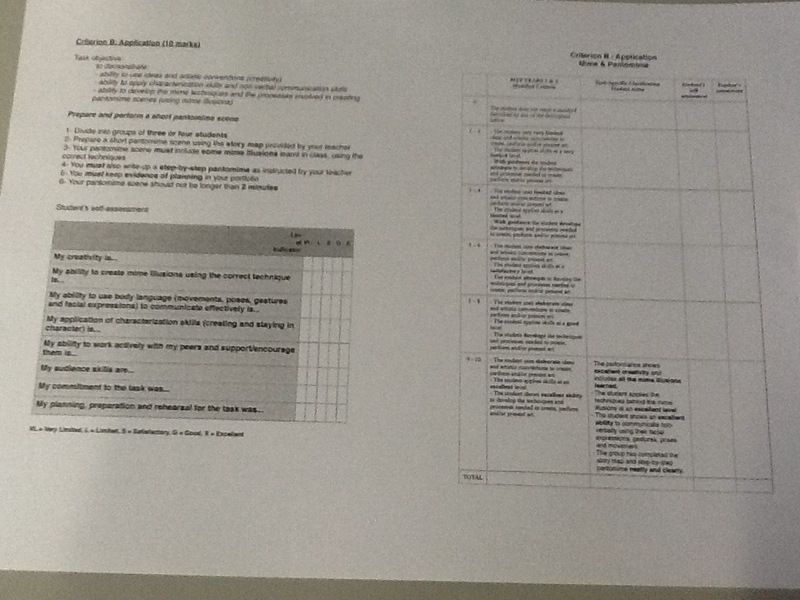 Below is a screencast describing the task and how it is administered. 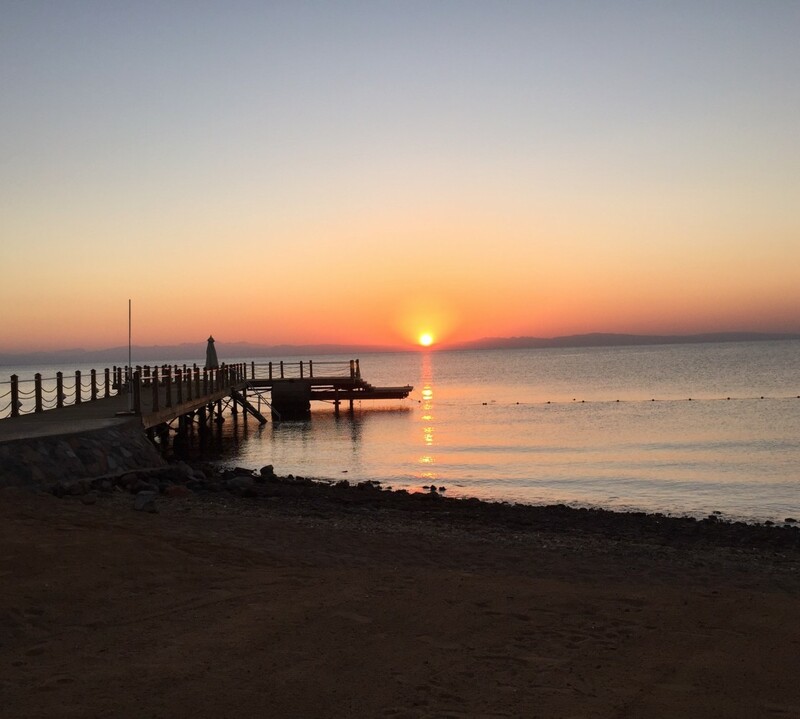 I previously published a post about ongoing student reflection, which described how reflection plays a very important role is my classroom, and is an ongoing continuous process. Therefore, I will not dwell too much on this criterion. 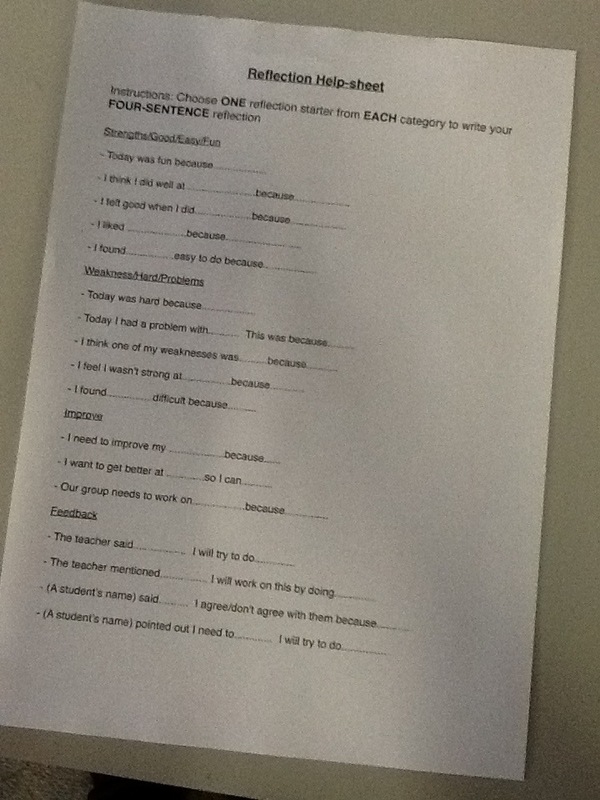 The students in my classroom are constantly being asked to reflect and evaluate, either orally or in written form. 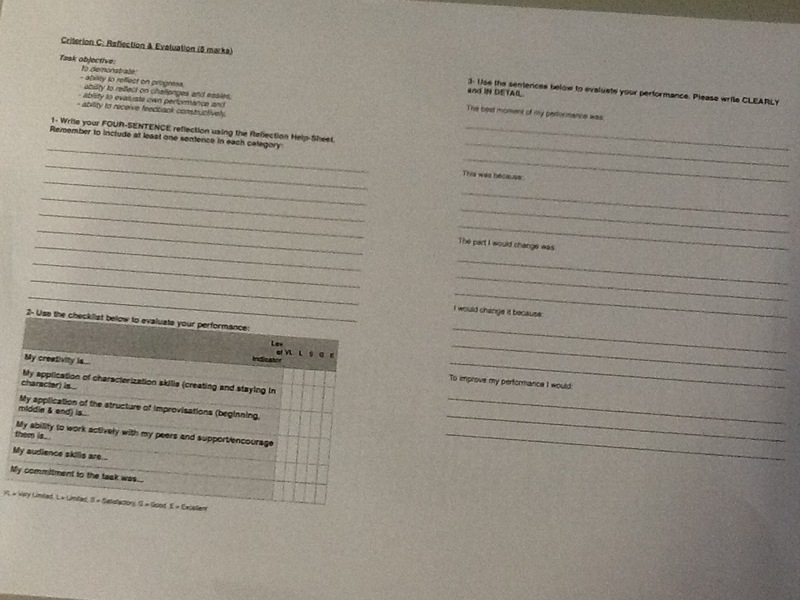 This is done in the form of a debriefing after every warm-up exercise and every performance (oral reflection), allowing the students to respond to feedback after their performance (oral reflection), and asking students to write a FOUR-SENTENCE reflection at the end of every lesson using this Reflection help-sheet (adapted from The Black Box). I do not necessarily grade or mark all these oral reflections or every four-sentence reflection, sometimes it is enough to just leave my initials on the reflection or ask questions to probe more reflection. 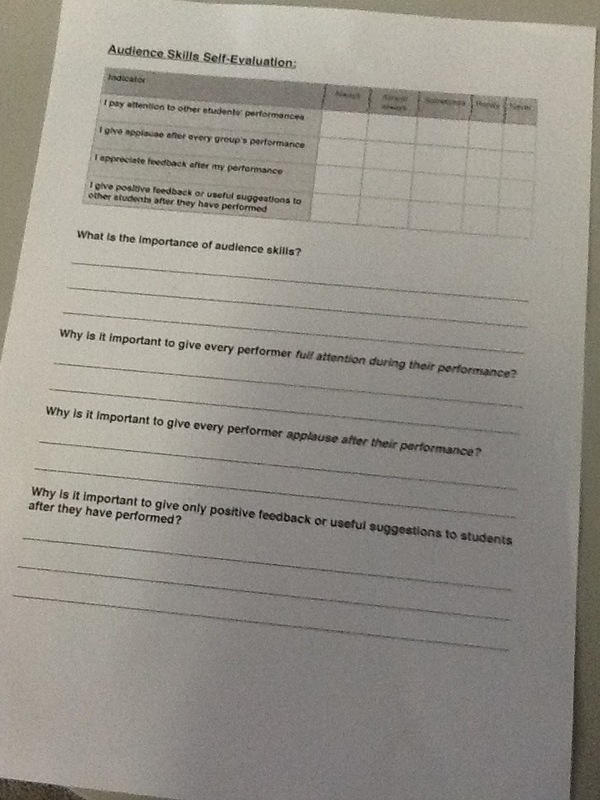 However, after having practiced reflection and evaluation in the drama classroom for a few weeks, I assign the students a performance task, telling them that I will not assess the actual performance but rather the reflection and evaluation written after it. 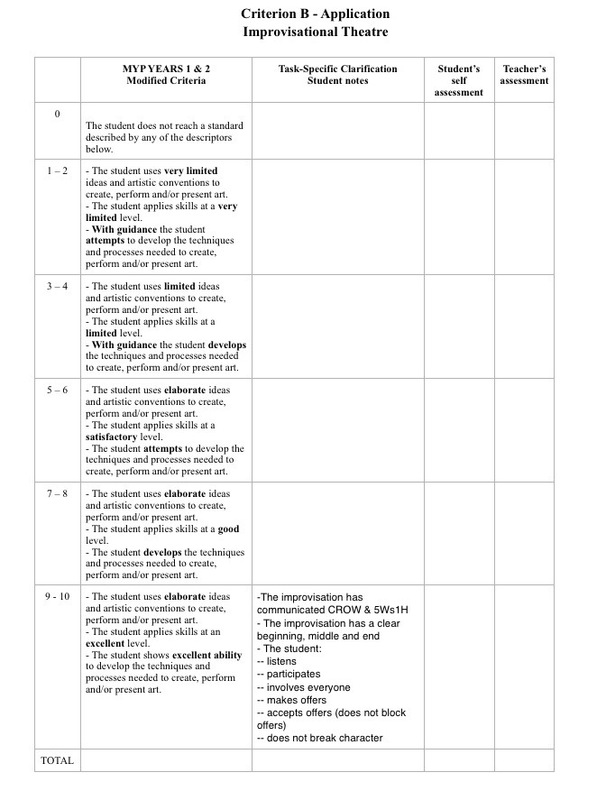 The students perform while being filmed using a camera (iPad), then their performance is projected to help them reflect on and evaluate their own artwork using this task sheet: Criterion C sample task. Occasionally, and for formative purposes, the students can be asked to use this self-evaluation to evaluate their performance as well. Therefore, there are several pieces of evidence of ongoing student reflection to add to their drama portfolio. 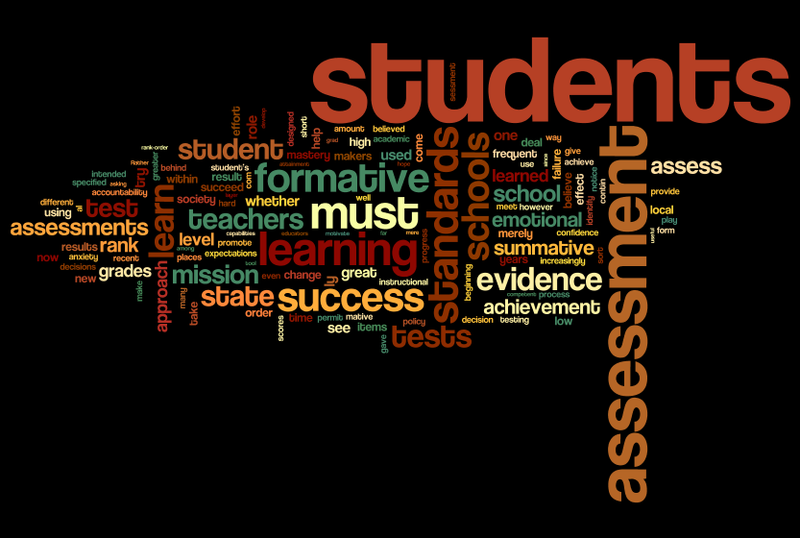 To conclude, I believe my assessment framework has several advantages: it is efficient and practical to administer, it is easier to explain to the students as one criterion is assessed at a time, each assessment task can be run throughout a whole double-period which means it is not interrupted by student absences, it allows student self-assessment for every criterion which encourages reflection, and it leaves the students with plenty of evidence to add to their drama portfolio to show their progress in learning to think and feel like an artist. Please feel free to leave comments, suggestions for improvement or feedback.